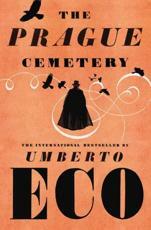 Books and Writers Umberto Eco Page -- Petri Liukkonen's Eco page contains a biographical sketch and a bibliography. Gary Radford's Eco Page -- Professor Gary Radford, author of On Eco, maintains a small Eco page. It includes a BBC radio interview, several images, and his reflections about meeting Umberto Eco, an event he reckons to a "modern fairy tale." Fifty Key Contemporary Thinkers: Umberto Eco -- John Lechte's 1994 entry from Fifty Key Contemporary Thinkers. 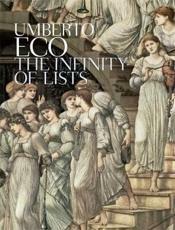 Umberto Eco Links -- A collection of links from Robert Daeley's "Bohemian Ink" Web site. Eco's Occult Profile -- You want to know Eco's biorhythms, rune stone and the numerological significance of his name? Sure you do! Gnutenberg.net -- The complete texts to The Name of the Rose, Foucault's Pendulum, and The Island of the Day Before. WBUR: Eco on Baudolino -- A Real Audio archive of Eco's October 15, 2002 talk in Boston. The Bean Essay -- Eco's choice for the best invention of the Millennium? Um, the bean, of course. The Italian Academy Lectures -- Hosted by italy-net, this page contains the transcripts of the Fall 1996 Eco lectures sponsored by the Italian Academy for Advanced Studies at Columbia University. Eco: The Internet Will Not Replace Books -- By Suzanne Trimmel. From the Columbia University Record, November 22, 1996, this is a review of Eco's lecture "From Internet to Gutenberg." The Future of Books Lecture Notes -- By Sieglinde Gillmayr. The author's short notes on "The Future of Books" lecture Eco delivered in Vienna. Discussion of Semiotics and the Philosophy of Language -- By Tony Veale. A discussion of metaphor as perceived by Eco. Marginalia: Dreaming the Middle Ages -- A corner of Georgetown University's Labyrinth Medieval project, this site is maintained by Ann Hahn Buechner and expores the fascination the Middle Ages still hold for us. Eco's ideas are used as an organizational principle. The World According to Eco -- Hosted by HotWired, this is the text of the Wired 5.03 interview with Eco conducted by Lee Marshall. This article also appears on Porta Ludovica's Interview section. El mundo según Eco -- A Spanish version of the Wired article, translated by Julio De León and located on his "Finis Africae" site. Caught Between a Kant and a Platypus -- December 12, 1996 Issues. An interview with Eco by Paul Haacke of Brown University. Hyperreality -- Anders Ojgaard's flashy site is an exploration of "hyperreality," and it features both Jean Baudrillard and Umberto Eco. Name of the Rose Study Page -- Professor Earl Anderson's online guide for students studying Eco's The Name of the Rose. New! The Mystery of the Abbey -- A Clue-like commercial board game loosely based on The Name of the Rose and the Cadfael mysteries. 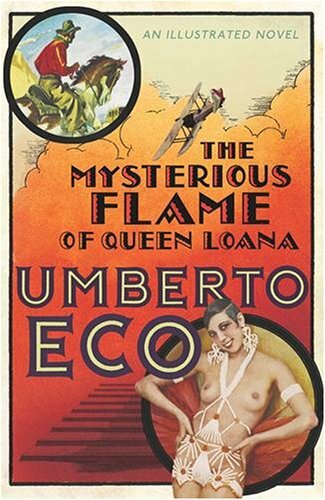 Umberto Eco's Multiple Name -- An Italian site that details a "conspiracy" linked to Eco. This site comes in both flavors -- English and Italian. 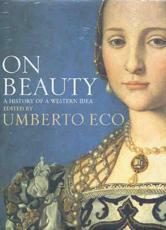 Umberto Eco Films -- The entry on Umberto Eco at the Internet Movie Database. Superfictions: Eco -- This is a small section based from the Museum of Contemporary Ideas. It does not have much information, but it does have a link into their "Superfictions" section. Spinning Foucault's Pendulum at the Panthéon -- An article about the real Foucault's Pendulum, with a lovely picture. Longitude -- A&E recenly aired a movie called Longitude, loosely based on Dava Sobel's book. The movie is about the quest to accurately measure longitude, something that figures into Eco's novel The Island of the Day Before, which is mentioned in the film's bibliography. The film also includes a fanciful episode involving wounded dogs and the Powder of Sympathy, a familiar scene from readers of Island! Google News Search -- This will search news groups related to Eco. Yahoo News Search -- Searched Yahoo for artcles and news related to Eco. Northern Lights -- This will search Northern Lights for online articles and sites about Eco and his work. Bibliofind Search -- This link searches for rare and out-of-print books via Bibliofind. Powell's Eco Search -- This link searches for rare and out-of-print books by or about Eco via Powell's Bookstore. 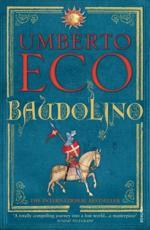 Internet Bookshop Italia -- Italian speakers may wish to order some of Eco's works here. Semiotics at the University of Colorado -- A link-filled semiotics page maintained by Martin Ryder.